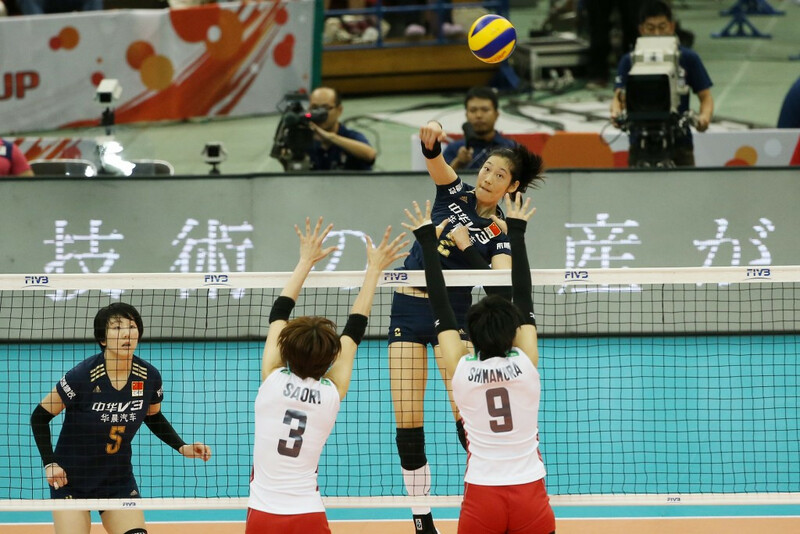 China’s secured their fourth International Volleyball Federation (FIVB) Women’s World Cup title after a four set victory over host Japan in Nagoya, which also saw them claim one of the two Rio 2016 qualifying berths on offer. The Chinese team knew heading into the final match of the tournament that a 10th win of the tournament would allow them take the title, but a second defeat of the competition would see them overhauled by Serbia. A positive start for China appeared to settle any nerves as they earned the first set 25-17 but a much improved performance for the home nation in the second set saw them level up the match. However Japan were unable to maintain that standard for the remainder of the match as China took the third set 25-21 to move tantalisingly close to winning their first World Cup title for 12 years. With the fourth set delicately poised at 19-all, China’s top point scorer Zhu Ting took responsibility for seeing the team over the line at the end of the gruelling tournament as she helped her team establish a 24-21 advantage before smashing the match winning point. It secured the Chinese team a place at the Rio 2016 Olympics alongside the host nation Brazil and Serbia, who won their final match of the World Cup to finish as the runner-up spot. Serbia had ended their tournament on a high by winning a thrilling five-set clash against Argentina, although they had looked like throwing away a winning position having let a two-set lead slip. Despite seeing their advantage disintegrate the Serbian team were able to regain the momentum to dominate the deciding set to earn a 25-16, 25-19, 20-25, 23-25, 15-4. United States and Russia secured third and fourth place finishes at the end of the round robin phase of competition after earning straight sets wins over the Dominican Republic and Algeria in their final matches of the tournament. Despite having little to play for Kenya and Peru produced an excellent match which went all the way to five sets with Kenya emerging as 23-25, 29-27, 25-27, 25-23, 15-13 winners. Cuba would also end their tournament with a five set 25-22, 18-25, 16-25, 30-28, 15-13 victory over South Korea.